Gender is an awfully complicated thing, at once a social construct, and yet for many, also a deeply personal part of one's sense of self. While (gender) identity is about who we are on the inside, there's always something magical about seeing our inner selves reflected in a photograph. Medical transition – These are photo shoots that capture images that may have not been possible before some stage of medical transition. For instance, shirtless photos of a man at the beach after recovering from chest reconstruction. Alternatively, these shoots can be about capturing images of one's body before or during the process of medical transition, whether to document the stages of one's medical transition journey, or to simply have images to remember elements of your journey by. Genderqueer – Gender isn't a binary thing, it is a continuum spanning the vast array of human experiences. Photography however, often sees portraiture in highly gendered terms, with "masculine" and "feminine" ways of posing, or of presenting people with each other. This leaves people who don't experience gender on either extreme in the difficult place of having to choose how they want to be seen for any particular photos, which is blatantly unfair. In contrast, I work with folks who identify as genderqueer,genderfluid, agender, etc. in order to present them in a way that accurately reflects their inner experience. No two photo shoots are the same, because no two people are. That said, below are options in terms of shoots I've done or can do that have something to do with gender exploration, gender transition, gender play, etc. Gender Affirming – There are many forms that gender affirmation can take, and that can be different for different people, and for a person at different stages in their life. Sometimes these shoots are about getting to express oneself in a way that might not be comfortable or possible with other photographers. Other times they are designed to project a particular form of (societally) gendered behavior or presentation. Exploratory – In a society that sees gender in rigid binary terms, finding opportunities to explore gendered expression in a safe and positive environment can be challenging. These shoots can be anything from deliberately mixing ones outward gender expression with posing, lighting, setting, and processing typically associated with a different gender expression; to providing a safe and comfortable environment for someone to explore a gender presentation at odds with the face that they have to wear in daily life. Documentation – Sometimes we need photos for specific (often medical) reasons. For instance, needing to send specific images to a surgeon prior to a consultation or during a medical recovery. Other times we may want images that are more on the technical and documentary side of photography than they are on the personal or emotional side. The examples above are only a few of the possibilities, and in a bulleted list come across much more rigid than they really are. 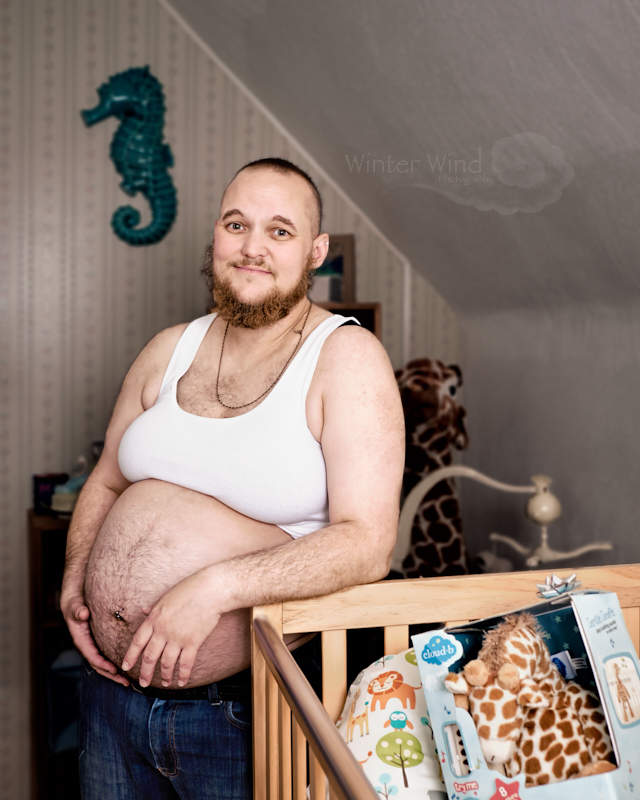 There are plenty of other reasons that don't fit into such neat categories as to why someone might want a trans/gender-aware photographer, such as pregnancy photos for a trans man, portfolio shots for a drag performer, or something as simple as family photos for this year’s holiday card. If you'd like more information or to schedule a photoshoot, you can do that through the Contact Page. My gender journey had been a long one. At 36 years old, I am looking seriously at options for medical transition, having spent a number of years trying to feel out where the boundaries of my own gender expression lie. Because of my figure and my own somewhat convoluted expressions of gender dysphoria, binding and passing is something that I have never really been able to achieve (to my own satisfaction at least). For this reason, I have struggled with gender presentation, with feeling male while inhabiting a classically feminine hour glass shape. Because of this among other issues with how I look, I generally hate having my picture taken with a burning passion usually reserved for things like dentists or the IRS. I know that this did not make Winter's task any easier when it came to doing a photo shoot with me. That said, having images that I can look at even now and say 'yes, that is a man and that is me' has been one of the things that I have held onto while continuing to pursue what can be an incredibly invasive and potentially humiliating process so that one day hopefully I can look in the mirror and see the person I have in my head on the outside as well as on the inside. My name is Aubrey and I’m AMAB trans person. When my friend invited me to do this shoot, I was ecstatic. I’ve always loved having my picture taking, but at the same time never really liked how I looked. But I had been on hormones for about 10 months when we did this shoot. I felt very comfortable, in fact, the outfits I wore were probably the most fem things I’ve ever wore in public. And while I still have issues with my looks, I felt so empowered by this experience. The photos came out great, and they’ve garnered positive attention on social media in a very affirming way. I’d be interested in doing more shoots with Winter Wind in the future, at various milestones in my transition.